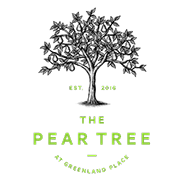 The Pear Tree at Greenland Place is located in an exciting, vibrant area of South London, a stone’s throw from the River Thames. Stops along Plough Way. From there it is a mere 5 minute walk. Stops outside McDonald’s on Evelyn Street. From there, find your way to Plough Way. Walk down Plough Way and you will find Yeoman Street as the second street on the right. Walk down into the new developments and you will find us at the end of the street! Unfortunately parking spaces are limited before 6pm. You may find a few all day parking spaces along Yeoman Street. Alternatively, you can park at the Surrey Quays shopping centre, which offers a 4-hour parking limit for free. We have a few parking spots allocated to us, so ask us for temporary parking permit if you do park outside the restaurant. Do remember, first come first served, and park at your own risk!